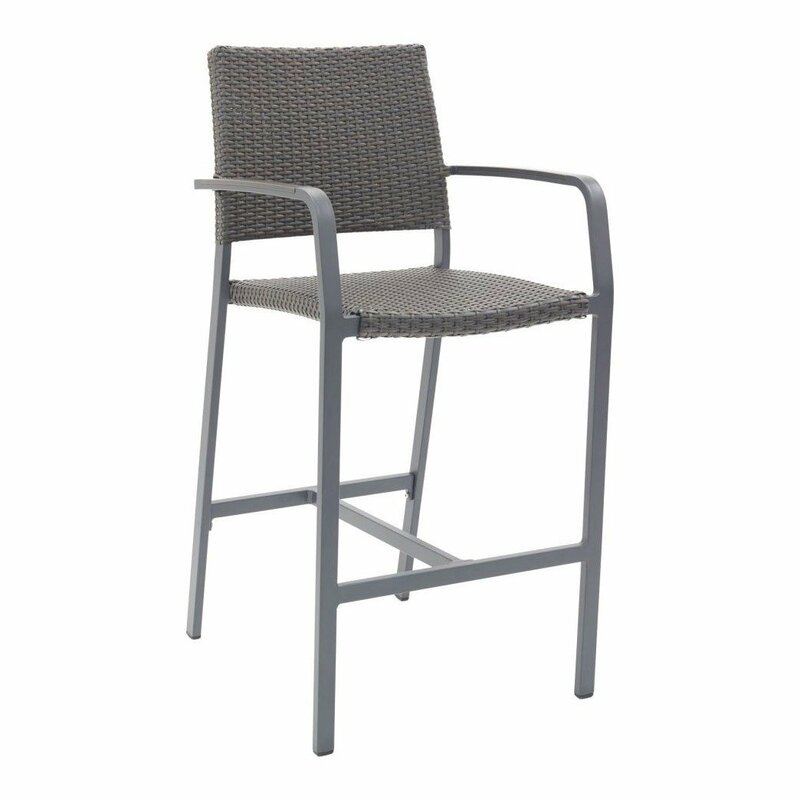 Trade Winds Outdoor Restaurant Bar Height Chair with Aluminum Frame and PE Weave Seat - 15 lbs. Our Trade Winds outdoor restaurant bar height chair has a contemporary style that will compliment any commercial eateries with an outdoor dining space, such as clubs, coffee shops, and pizzerias. 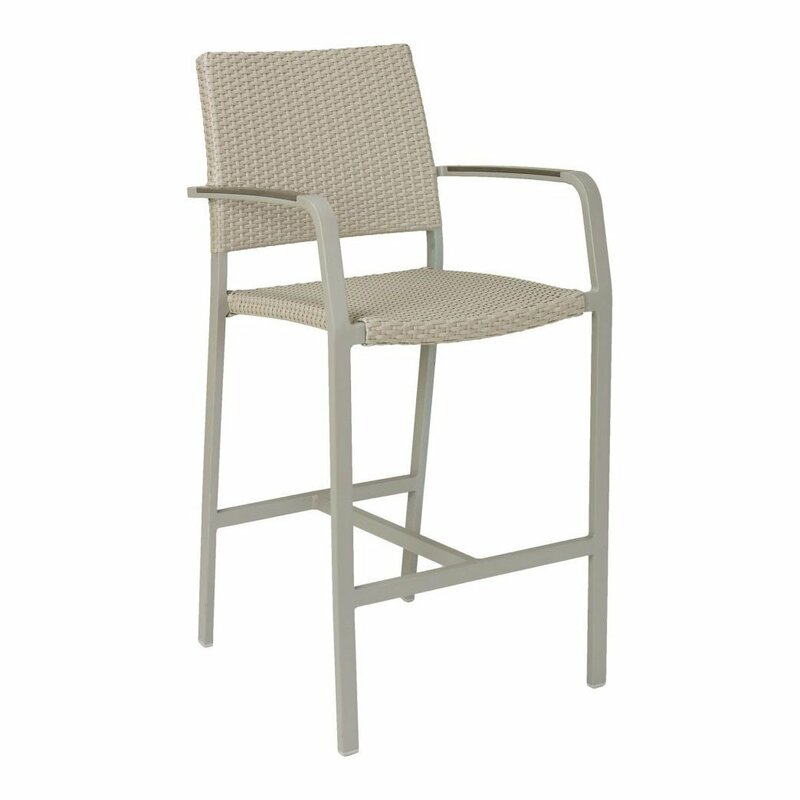 Featuring a powder-coated aluminum frame that won't rust, fade, or chip in rain or shine. The seat and back are fashioned with uv resistant PE weave which can withstand heavily humid conditions with ease. Includes gray faux teak arms for added comfort. Our restaurant furniture is built to last and come with a 2-year commercial warranty. • Dimension: W 17" x D 18.5" x H 42.5"